Adobe Captivate is one of the best authoring tools available for generating SCORM or TinCan courses. 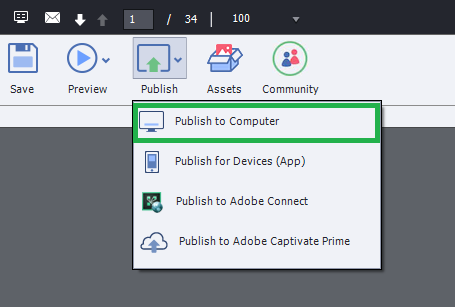 Here, we will show you how to publish SCORM content in Adobe Captivate so you can import and use it on your Learnyst account. 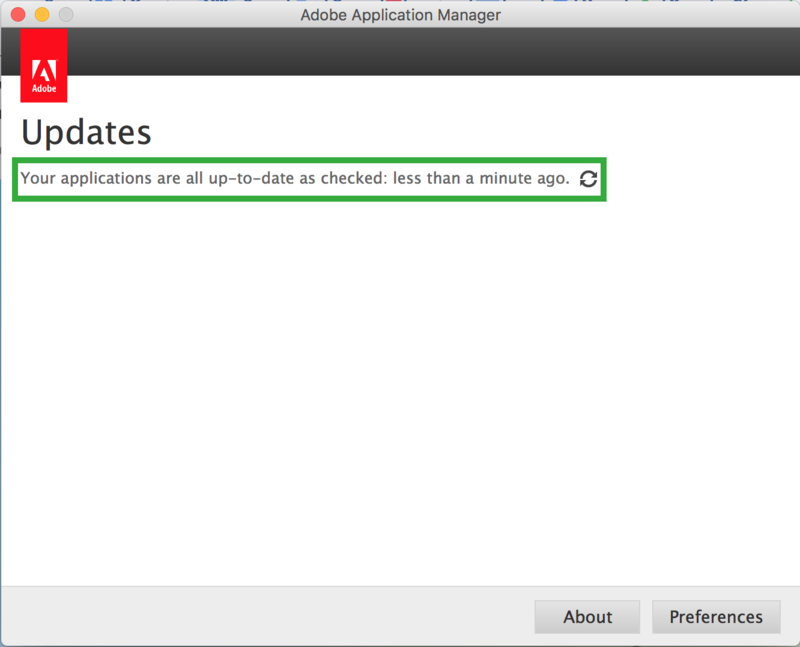 Note: Here we are using Adobe Captivate 2017 Release version 10.0.1.285 for demonstration. Go to Reporting and uncheck the "Enable reporting for this project"
Publish as: Publish a SCORM for use on a browser (e.g. Internet Explorer, Firefox, Chrome or Safari). Learnyst will always use the SWF/HTML5 output. 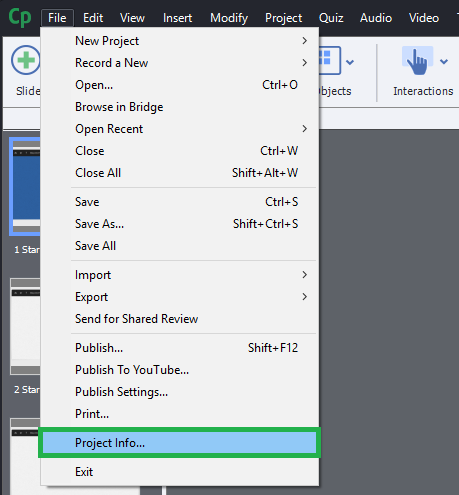 Project Title: Give your project a title. 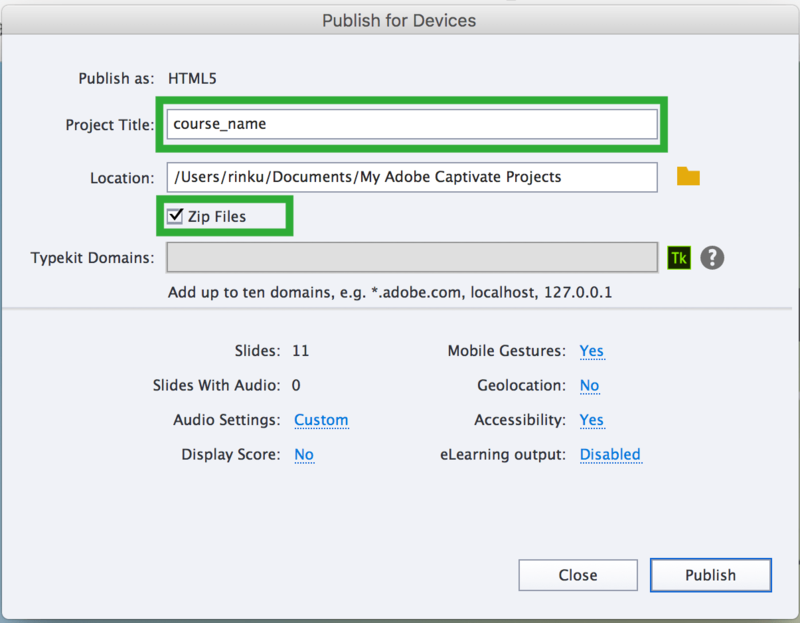 Zip File/ Publish to Folder: The zip is the file type that you upload into your LMS. Output Format: SWF is supported in desktop computers whereas HTML5 on iPads and mobile devices. 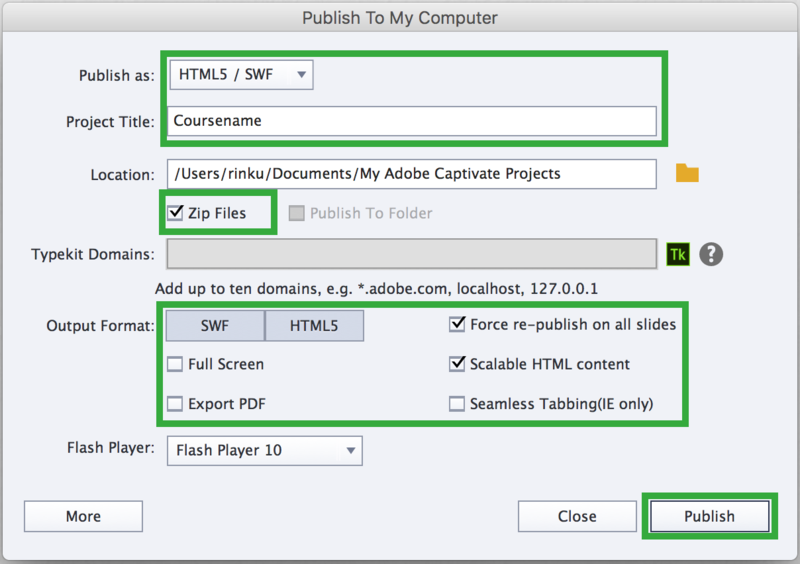 If you publish to both SWF and HTML5, the learner can view the course on desktop computers, iPads, and mobile devices. Force Republish of all Slides: Enabling this option will republish all slides each time you make a change, even to just one of the slides. Scalable HTML Content: Enabling this option will resize the SCORM to the size of your user’s browser window while keeping it in proportion. 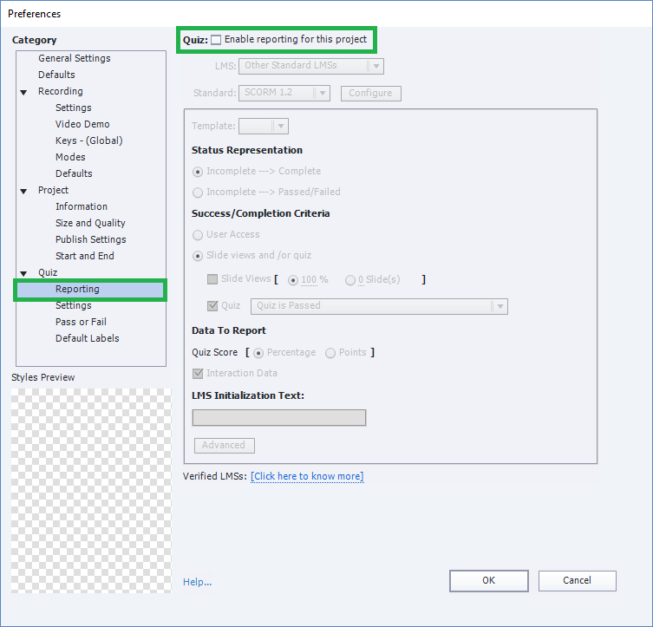 Now publish to generate zip file in the Location provided. Upload the zip on Learnyst SCORM | TinCan lessons and Learnyst will take care of the rest.